Samsung is willing to do anything to gain back its lost markets, in Australia and Germany, because of the Apple infringement lawsuits and bans. Well, now they’ve decided to make some modifications to the Galaxy Tab 10.1, in order to make it viable for launch in these forbidden countries. For one thing, they changed the location of the speakers and in case you’re wondering the new version of the tablet bears the codename GT-P7501. This model has already surface on German retailer sites and it will start selling from next week. 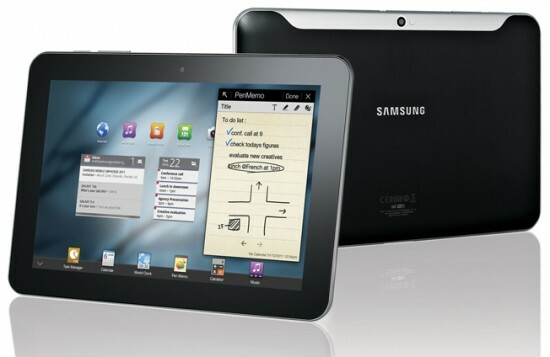 Galaxy Tab 10.1N, as this model is called comes preloaded with Android 3.2 and has a more proeminent bezel than its predecessor. These changes will only apply to Germany and the device will come in flavors of 16GB, 32GB and 64GB. There will also be a WiFi-only unit, called the GT-P7511, that will sell with the same storage. The pricing starts from 549 EUR for the 3GS unit, while the WiFi only device goes for around 500 euros. 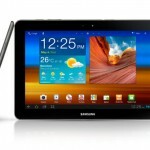 Word around AndroidForums.com is that the Samsung Galaxy Tab 10.1 WiFi is getting an upgrade to Android 3.2, but instead of the general round of improvements we’d expect, the upgrade actually breaks something – WiFi. Considering that’s the only connectivity option for internet on these models, we’d say that’s a pretty huge deal. Apparently the update appears to go smooth at first, but upon rebooting some users are seeing a message notifying them that the upgrade has failed and prompts them to connect to Kies or contact Samsung support. Member Sav224 couldn’t connect to any WiFi network. While the radios picked up on the access points in his area, he could never get past the “obtaining IP address” stage. This is a huge problem and we are reaching out to Samsung to see if this is an acknowledge problem and to see if they’ll be working on a quick fix. Any of you experiencing the same? We suggest those who haven’t upgraded yet hold off until we can figure out exactly who this update affects and to see if it’s a widespread issue. If you’re wondering which are the thinnest tablets on the market right now, the answer comes from the Android segment, of course. The folks of gizmowatch have compiled a list of 5 devices with incredible waistlines and high diagonal, that you can see below. They include a Samsung model, a Toshiba or two and much more. This is an ultra thin slate with a 10.1 inch display and it was dubbed the world thinnest tablet when it was announced by Toshiba. With a waistline of a mere 7.7mm, this Android 3.2 model is the equal of other slates in this collection of devices. It comes with a 1.2GHz TI OMAP 4430 processor, 1GB of RAM and 64GB of internal memory, plus a LCD display with a 1280 x 800 pixel resolution. 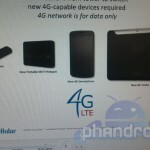 Expect it t reach the shops in January next year and maybe even get the Android 4.0 update. This device has been talked about a lot over the past week, since it has just been announced and it comes with a quad core processor. This First Tegra 3 tablet measures 8.3mm, weighs 586 grams and it will be one of the first slates to get Android 4.0 through upgrade. We expect it in stores either in December or early next year. Its specs include the quad core Nvidia 1.3GHz processor, 1GB of RAM, 32GB of internal memory, a microHDMI port and a 10.1 inch display. It’s been a while since the controversial Samsung Galaxy Tab 10.1 launched, but it’s still considered the best Android tablet on the market. Measuring 10.9mm, this is seen as a major iPad 2 rival, since it works flawlessly and its dual core 1GHz processor performs pretty well, together with 1GB of RAM and Android 3.2. After some bans in Europe and Australia, this supposed iPad copycat is having some image problems, but the performance remains. Yet another Toshiba entry in the top, this time with a 7.7mm device that was unveiled at CEATEC 2011. This model weighs 558 grams and it’s still expected in shops worldwide. It runs Android Honeycomb and packs a 10.1 inch display, a 1.2GHz dual core processor, 1GB of RAM, 32GB of memory and a 5 megapixel camera at the back. Which model do you fancy the most? Samsung has just announced a limited edition of the controversial Galaxy Tab 10.1 tablet, one branded with the Lions Baseball Team in the Korean Series Championship. Apparently, baseball is a big deal in some Asian countries, although it’s an American sport. 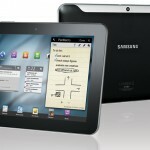 Samsung will start selling the Lions Special edition of the Galaxy Tab 10.1 soon, limited to 150.000 units and also bundling an engraved Galaxy Tab 10.1 a ball and a Lions kit. Pre-orders are already available and we’ll see the products available soon in D’light shops. Since soccer is also a big deal in some of the Oriental nations, should we expect branded phones and slates as well for soccer teams? Well, at least that’s one way to make up for the units that have been shipped back from Australia and Germany, as the Galaxy Tab 10.1 was banned there, because of the Apple lawsuits. The Panasonic Toughpad FZ-A1 may not have the charm of the Motorola Xoom 2, or the sveltey good looks of the Samsung Galaxy Tab 10.1, but one thing's for sure - it could kick both of its Android tablet rival's butts. And that's because the A1 is a rugged, tough chump, of a tab - inspired by Panasonic's successful Toughbook laptop range. Pocket-lint got its hands on with the beefed-up tab back in September and now the Japanese company has announced that it will be available in spring next year, along with a 7-inch little brother (the B1) at some point too. The 10-inch version boasts a MIL-STD-810G rating, so could survive 120cm drops and comes with an IP65 ingress protection rating for resistance to dust and water. It also has an operational temperature range of minus 10 ?C to 50 ?C. So if you fancy a bit of Angry Birds in the desert, or at either of the poles, or you're just a clumsy idiot - then you're in luck. In terms of the usual tablet features, we're looking at a 10.1-inch XGA capacitive multitouch display with an anti-reflective treatment and built in ambient light sensor, a Marvell 1.2GHz dual core chip with 1GB of RAM powering Android 3.2, and 16GB of onboard storage (expandable with microSD). It's got two cameras; a 5-megapixel one on the back, a 2-megapixel one up front, and the connectivity options are abundant too; 3G, 802.11 a/b/g/n, Bluetooth v2.1 + EDR, Satellite GPS, USB and HDMI. It's not the skinniest or lightest tablet in town, understandably. It measures 266.3 x 17.0 x 212.0mm and weighs in at 970g. You'll get 10 hours life from the replaceable battery. "Consumers have enjoyed tablet computing for a number of years now with almost no uptake in the workplace due to fundamental design limitations," said Hiroaki Sakamoto, MD, Panasonic Computer Products Europe. "Toughpad takes all the Toughbook experience of rugged computing we have gained since 1996 and focuses it into tablets designed for the workplace." Out in spring next year, a Wi-Fi only model will cost from €850 plus VAT, the 3G one €999 plus VAT. 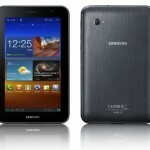 Samsung Galaxy Tab 7.0 Plus will be arriving in the US of A on November 16th, with a $249.99 price tag, according to sources familiar with the matter. Originally, the device was supposed to come on the 13th, but maybe it was considered an unlucky day by either T-Mobile or Samsung. The $249.99 price tag applies to a two year contract and there’s also a $50 mail in rebate option in there. The contract mentions a clause of 20 interest-free monthly payments of $10. 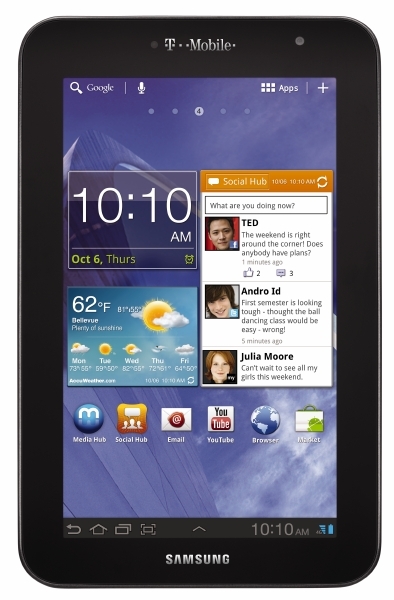 Let me remind you that the Galaxy Tab 7.0 Plus is a 7 inch tablet with a weigh of a mere 0.77 pounds, a dual core 1.2GHz Exynos processor and 16GB of internal memory, plus a microSD card slot. At the back of the handset there’s a 3 megapixel camera, able to record HD video, while at the front there’s a 2 megapixel shooter with video call purposes. The OS of choice here is Android 3.2 and some bundled apps like WildTangent, Zinio, Blio and more. Will you get one? T-Mobile has just announced that they will be offering the “new and improved” Samsung Galaxy Tab 7.0 Plus for their 4G network this holiday season. The 7-inch device is running on Android 3.2 Honeycomb and features a 1.2GHz dual-core processor, 16GB of internal storage, micro SD slot, 3MP rear/2MP front facing cameras and of course, running on T-Mobile’s insanely fast 4G network. 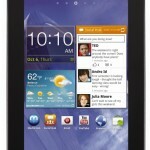 The Galaxy Tab 7.0 Plus will be available November 16th and can be purchase for $250 (after $50 mail-in rebate) with a 2-year agreement. You can check out the full press release below. T-Mobiles newest ultra-mobile 4G tablet delivers a rich entertainment experience anywhere on Americas Largest 4G Network. BELLEVUE, Wash. -- Nov. 8, 2011 -- T-Mobile USA, Inc. today unveiled the ultra-mobile Samsung Galaxy Tab™7.0 Plus, the latest to join the companys portfolio of 7-, 9- and 10-inch 4G-enabled* tablets. 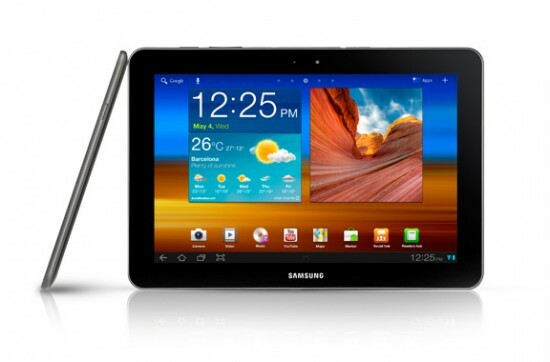 Featuring a brilliant 7-inch multitouch display and weighing just 0.77 lbs., less than a can of soda, the Samsung Galaxy Tab 7.0 Plus is one of the thinnest and lightest 7-inch tablets on the market, making it easy to watch popular TV shows and movies, download full-color magazines, compete in multi-player gaming and more - all while on the go. "Consumers want a selection of affordable, highly mobile tablets that can deliver the content they want virtually anywhere they go," said Jeremy Korst, vice president of mobile broadband and emerging devices, T-Mobile USA. "The Samsung Galaxy Tab 7.0 Plus is a perfectly sized, ultra-thin and lightweight 4G tablet that easily fits in a coat pocket or purse and delivers a rich on-the-go entertainment experience." Offering a premium, ultra-mobile entertainment experience, the Samsung Galaxy Tab 7.0 Plus from T-Mobile comes with a variety of pre-installed premium content, including the Samsung Media Hub so customers can rent or purchase movies and purchase TV programs and share that content on up to five compatible devices on the same account. The Samsung Galaxy Tab 7.0 Plus also comes pre-loaded with WildTangent®, so customers can play premium games for free, as well as rent or purchase games. The Android™ 3.2 (Honeycomb) Samsung Galaxy Tab 7.0 Plus is equipped with a 1.2 GHz dual-core processor, 16 GB of internal memory and a micro SD card slot that supports up to an additional 32 GB of expandable memory for easy storage of documents, movies, books and more. In addition, the Samsung Galaxy Tab 7.0 Plus makes it quick and easy to browse rich Web content with support for Adobe® Flash® Player and read books and magazines though services like Zinio®, which offers more than 5,000 full color magazines to browse, and Blio® eReader, which shows eBooks in full color on the brilliant 7-inch screen. 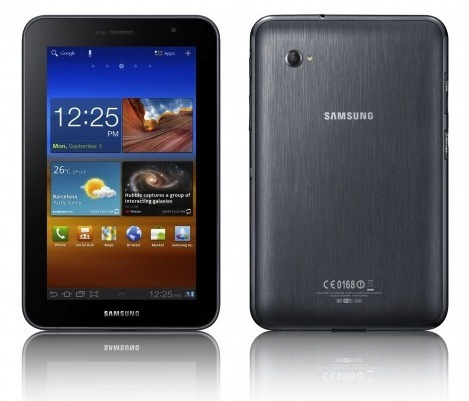 Equipped with a 3-megapixel rear-facing camera with flash for photo, and Mobile HD video capture and playback in 720p** as well as a 2-megapixel front-facing camera which can be used to connect with friends and family via Video Chat, the Samsung Galaxy Tab 7.0 Plus makes it possible to connect and share lifes most important moments while on the go. The Samsung Galaxy Tab 7.0 Plus will join the recently announced T-Mobile® SpringBoard™ with Google™ and Samsung Galaxy Tab™ 10.1, as well as the T-Mobile G-Slate™ with Google, to offer an affordable and compelling portfolio of 7-, 9- and 10-inch 4G tablets with down payments ranging from $179.99 to $399.99***. 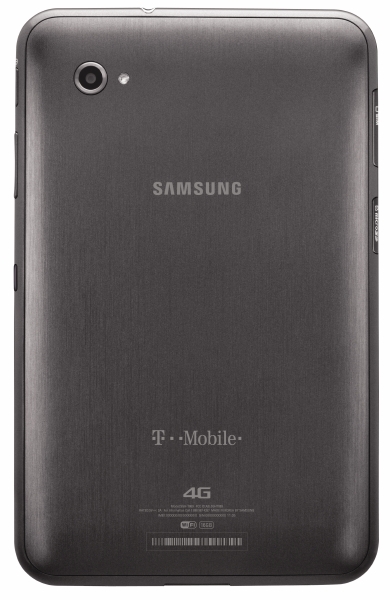 Beginning Nov. 16, customers can purchase the T-Mobile SpringBoard for a $179.99 down payment and the Samsung Galaxy Tab 7.0 Plus for a $249.99 down payment at T-Mobile retail stores. Each require a $50 mail-in rebate, with a T-Mobile Value Mobile Broadband plan, two-year service agreement, and 20 interest free monthly payments of $10 on approved credit. Overage-free Mobile Broadband Value plans start at $29.99 per month, and T-Mobile postpaid voice customers enjoy $10 off their monthly mobile broadband service. For more information, visithttp://mobile-broadband.t-mobile.com/tablets. One of our trusty readers close to US Cellular has recently been trained on some upcoming devices for US Cellular. There are two in particular we’re very interested in and I bet you can guess what they are from the image above. On the right is an obvious shot of the Samsung Galaxy Tab, but what about the fellow to the left of it? If my eyes aren’t failing me, I could almost bet that is none other than a Galaxy Nexus by Samsung. 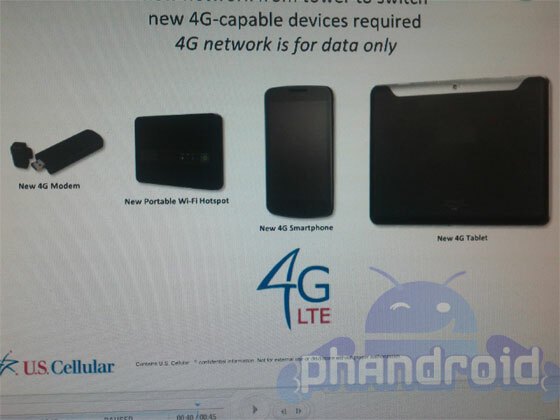 Both are supposedly going to be available on the carrier beginning in Q1 2012. That’s quite a ways away from now, but for devices as good as these two we’d patiently wait for them.